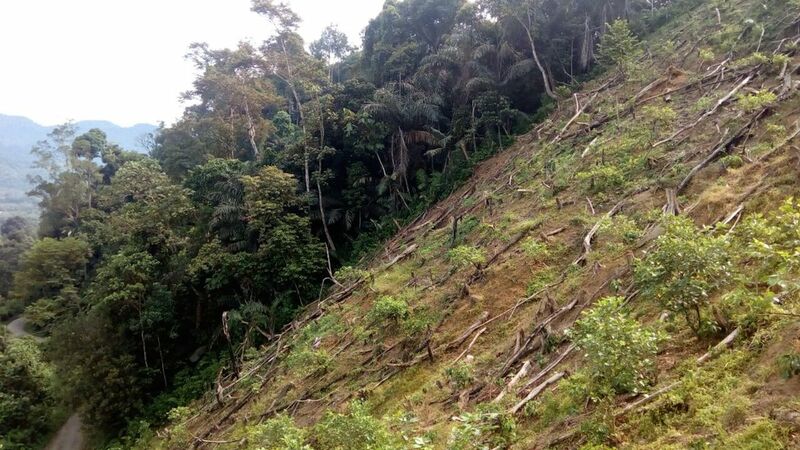 Conversion of forest for agriculture is an ever-present threat in Sumatra, even in protected areas like Kerinci Seblat National Park. Palm oil, acacia, rubber and other plantation crops pressure the park from the outside, while poaching endangers the fauna within. Scientists estimate there are between 25,000 and 30,000 species of orchid in the world, with many yet to be discovered. Around 1,000 species are listed as threatened by the IUCN. Sumatra is one of the world’s orchid hot spots. Conservationist Pungky Nanda Pratama is trying to save at-risk orchids by transplanting them from threatened areas in and around Kerinci Seblat to a nursery where he is aiming propagate them and re-plant them in nearby protected areas. 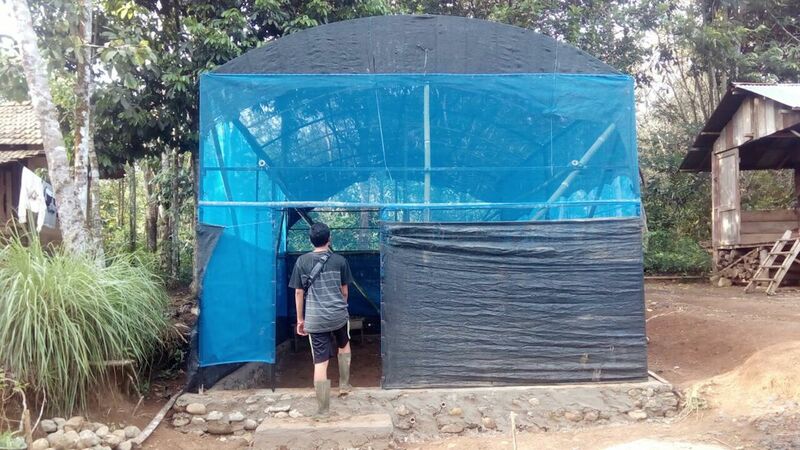 Pratama is also hoping to start an educational center where people can learn about Sumatra’s native plants. When tropical forests are felled and converted into land for oil palm or rubber plantations, it’s easy to think of the orangutans or the tigers that may lose their lives or their habitat. But when trees begin to fall, hundreds of plant species can perish alongside them. Some conservationists on the Indonesian island of Sumatra are fighting to save endangered plants from peril. One of them is Pungky Nanda Pratama. He started off working to save the animals of Sumatra in and around Kerinci Seblat National Park, the island’s largest protected area. But over time he began to notice the harmful effects local practices were having on the flora, as well as the fauna. Kerinci Seblat National Park is known as the last refuge of the Sumatran tiger (Panthera tigris sumatrae). It’s a huge 14,000-square kilometer (5,400-square mile) park that stretches for 350 kilometers from the middle of the island into its south. But Kerinci Seblat faces a difficult situation. Palm oil, acacia, rubber and other plantation crops pressure it from the outside, while poaching endangers the fauna within. While the area still maintains good tracts of connected forest outside of the protected area, large swathes of previously forested areas have been converted to agriculture. Meanwhile, portions of the park’s buffer zone are being turned over for agriculture, according to Pratama. According to Pratama, the majority of the agricultural land where he works in the Selangit district of southern Sumtra is made up of rubber plantations. He says these are “very different” than palm oil, as some natural plants can grow under rubber canopies and support native species. Research on the biodiversity in planted rubber plantations found it to be an “impoverished landscape” in comparison to primary forest, but one that still is “invaluable” as a biodiversity refuge. Rubber trees are cut down at intervals, often at around 20 years, after which the land is replanted. Clearing the trees means also removing the terrestrial and tree-dwelling plant species that live on and around them. “We know that flora aren’t like animals who can run quickly to stay away from fire,” Pratama said. 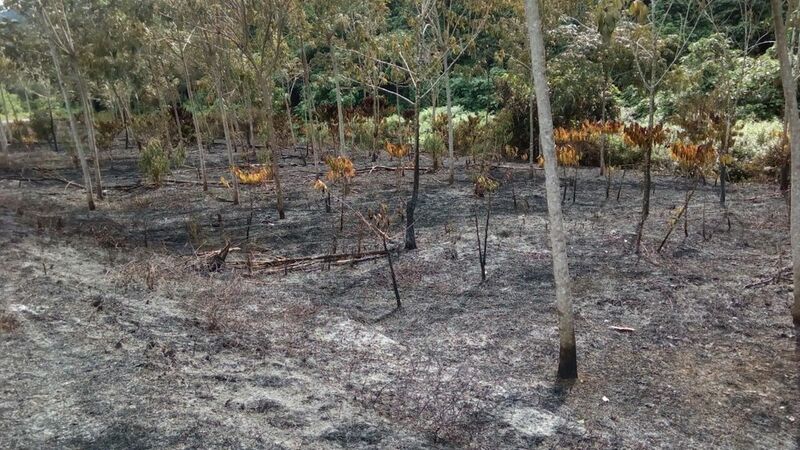 If villagers continue just cutting down and burning the land for new plantations then a lot of “flora will be gone forever and just become dust,” he said. 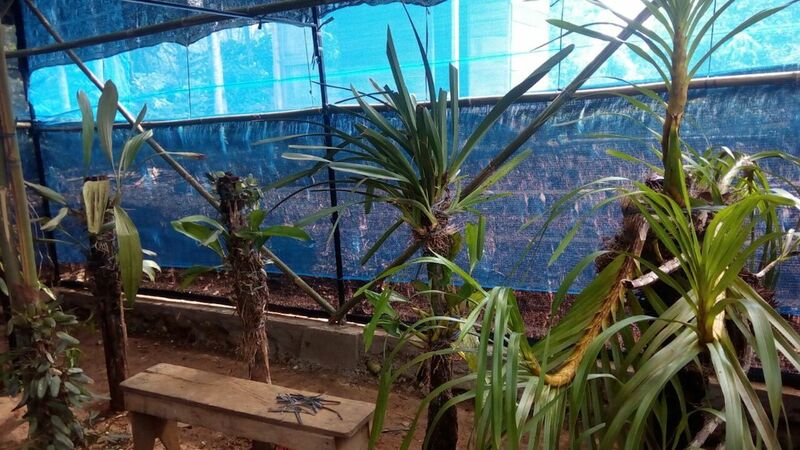 So, with funding from the Nature and Biodiversity Conservation Agency of South Sumatra, Pratama recently started a pilot flora rescue project to gather up at-risk flora and transport them to a nearby nursery. He’s so far rescued plants from plantations due for replanting and recently felled forest within the buffer zone. After propagating them, he plans to return the refugee plants back to the wild within Kerinci Seblat National Park, where he hopes they will bolster populations and prevent local extinctions. “We focused [on] rescuing orchids because we know that some of them are on the rare list,” said Martialis Puspito, head of the region’s conservation at the Nature and Biodiversity Conservation Agency of South Sumatra. He explained that other plants like the bat flower (Tacca chantrieri), are now rarely seen in the area due to the clearing of forest. Found from the tropics to above the Arctic Circle, orchids are one of the most fascinatingly successful plant species on earth. Scientists estimate there are between 25,000 and 30,000 species of orchid in the world, with many yet to be discovered. Orchidaceae, to which orchids belong, is one of the largest flowering plant families and represents about eight percent of all named plant species. They’ve graced our planet with their colorful blooms for around 100 million years – but many species are on the verge of being snuffed out. Like many other plants and animals in today’s human-dominated world, some orchids are at risk. But exactly how much danger they are in isn’t completely understood, according to Mike Fay, senior research leader in conservation genetics at Kew Royal Botanical Gardens and head of the IUCN’s orchid specialist group. Around 1,000 species are listed on the IUCN Red List, Fay said, with about 70 percent of orchids that have been assessed considered threatened. The list of threats reads like a roll call of anthropogenic impacts: habitat loss, illegal collection and trade and the global decline of insect populations and climate change seem to all be taking a toll on orchids. Sumatra is one of the world’s orchid hot spots and it faces all of these problems in some form or other. 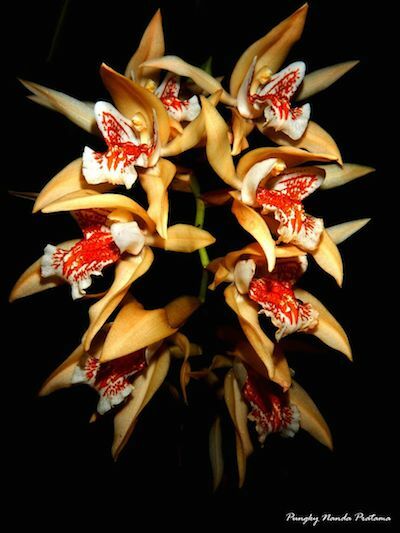 There are around 1,100 recognized orchid species on Sumatra. Ramadani Yudha Pasetya, of the Indonesian Orchid Society, said that one species from Sumatra, Paphiopedilum bungebelangi, may well have been smuggled into extinction a mere three to six months after it was described. Given orchids’ long gestation periods, there is some hope that it still exists in the wild. But it’s a slim hope. For other species, the severity of threats really depends on the where the orchids are growing and how rare they are. The jury is also out on whether conservation actions like Pratama’s are sound, or are simply acting as a small patch on a much larger wound. “The gold standard is to preserve the habitat,” Fay said. But, Fay added that intervening may be better than simply letting the orchids disappear altogether. Going forward, Pratama and Puspito hope to expand their project by saving more plant species. 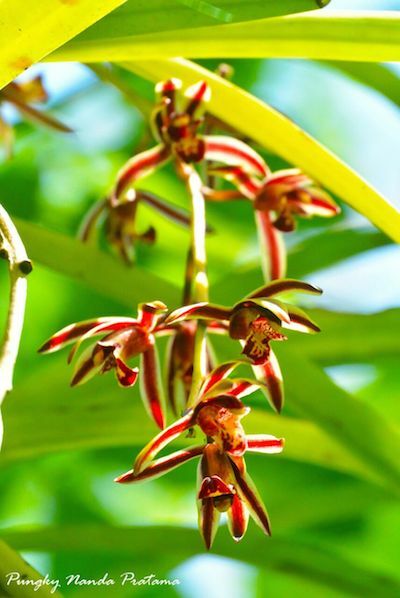 Currently, the small nursery houses 23 species of orchids and a few begonia and aroid species. “Our short-term plans are to make this pilot project recognized by people, especially students or people over here … we can use this place to raise awareness about flora conservation,” Pratama explained. In time, Pratama and Puspito hope to create what they would dub the Flora of South Sumatra Park, a botanic garden of sorts where tourists, locals and students alike can learn about the many plants that dwell there. Pratama also believes that propagated flora could be sold to provide a sustainable source of income for locals, a tactic he hopes would be enough to wean them off unsustainable, and sometimes illegal, practices that endanger wild flora species. But that may be some time in the future. For now, Pratama focusing his efforts on imperilled plants outside of southern Sumatra’s protected areas, beneath local people’s plantations and in the buffer zone of Kerinci Seblat. 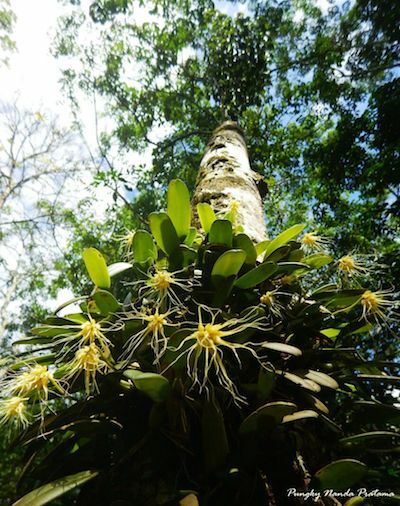 Banner image: An orchid (Coelogyne asperata) which Pratama says was taken from a rubber plantation before it was cleared for re-planting. Photo courtesy of Pungky Nanda Pratama. This story was originally published at Mongabay.com.